Chirascan sets new standards for steady-state circular dichroism spectroscopy. It incorporates innovative optical design features to maximise light throughput, particularly in the far-UV wavelength region, and a sophisticated digital data acquisition system that facilitates the rapid collection of more accurate and precise CD spectra. Chirascan’s digital CD spectra acquisition approach ensures that unmodified CD spectra are collected and any post-acquisition smoothing of the CD spectra will be non-distorting and completely reversible. This approach also simplifies the operation – Chirascan is as straightforward to use as a single-beam spectrophotometer. A large range of accessories are available, ensuring the researcher can be confident of a highly effective and future-proof spectrometer that can be adapted as research interests evolve. These are best explored with the comprehensive brochure available on request. 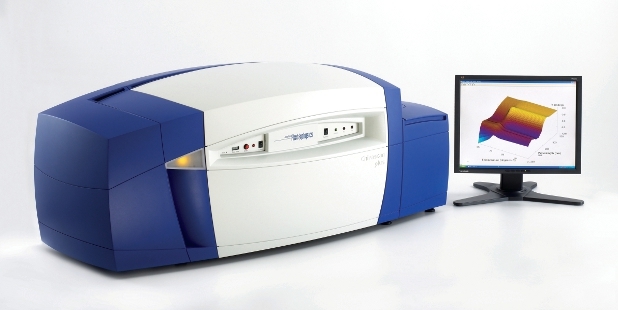 Chirascan™-plus ACD is the world’s first and only truly automated CD spectrometer. Unattended operation increases the productivity of CD measurements markedly, with up to 200 samples per day now routinely achievable. The improved productivity transforms the number and type of experiment that can be undertaken and addresses key needs in formulation and bio-comparability applications. ‘qCD’ (quantitative CD) reflects a number novel capabilities that improve performance and enable absolute CD measurements (a first in CD spectrometry).